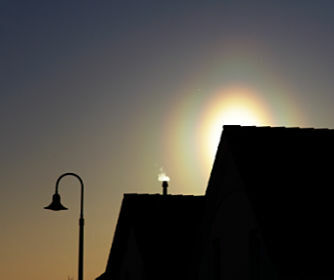 Light playing on water drops, dust or ice crystals in the atmosphere produces a host of visual spectacles - rainbows, halos, glories, coronas and many more. Some can be seen almost every day or so, some are once in a lifetime sights. Find out where to see them and how they are formed. Then seek and enjoy them outdoors.